Our family pack 10 pound Long Grain Enriched Rice contains the very best long grain rice harvested in the best regions that primarily use nature for its irrigation. 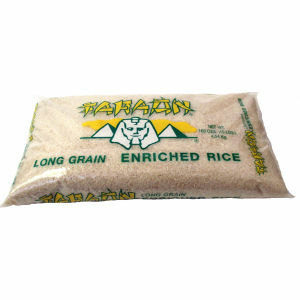 Only the best rice paddies produce the delicious grains that go into a Faraon bag. White Long Grain Rice that has been enriched with vitamins and with the perfect percentage of humidity content in each grain to satisfy our loyal consumers.